3.0 颗星，最多 5 颗星this isn't his best work. I read some Kotler... this isn't his best work. This book of only 200 pages is full of wisdom. It is a "RECIPE BOOK" for all managers who are responsible for setting goals and directions for any type of organisation. 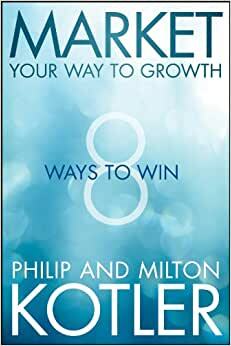 Philip and Milton Kotler have identified 9 megatrends that are changing the world and prescribe 8 winning strategies to deal with these trends. The examples given from recent history; the Conclusions and the Questions to be answered at the end of each Chapter, add immensely to the value of the book. The Epilogue captures the conflict between austerity and stimulus spending which is at the heart of the great debate on economic recovery solutions. The book is written in simple language, without jargon or complexities (Philip is known for this) and therefore makes for an easy read. 5.0 颗星，最多 5 颗星Grow or die ! This is a "must have" strategy for any company in any situation. This book is the "practical guidance" from the Maestros on how to do it. You may Grow by Scale as explained in the first three chapters. You can may Grow by Scope as clarified in the following three chapters. And finally,you may Grow by Spirit as detailed in the last two chapters. Be a Growth Expert by following the advices from this comprehensive book. This book could not be more timely. It contains excellent insights for the business owner trying to maneuver in the newly calibrated international economy, characterized by slow growth in America and European nations, and faster growth in markets like Asia and South America. The book helps one understand this new two-tiered economy, and how to navigate through it. Very educational book, I needed it for a marketing class that I was taking. I had to write a 10 page report on it with a slide show. I loved the book!